The apartment is located in the district Neuenberg, close to the Fulda Auen respectively Downtown. It consists of 2 bedrooms (with 1 child bed), 1 living room, 1 small bathroom and a fully equipped kitchen. It is ideal for 4 people and a toddler. For cyclists: From here you can go directly to the cycle paths to Gersfeld (Rhön) as well as to the north to Schlitz. Everything you need is accessible by foot or by bike, B. Swimming pool, baroque city center, restaurant "Drei Linden", baker etc. The excellent location to visit (Dom, Stadtschloss), leisure activities (cycling, swimming pool) and the accessibility of shops or also the exhibition Fulda Galerie make the object so interesting. Even if you arrive by train, you can reach us by bus (400m). Buses run every 20 minutes. 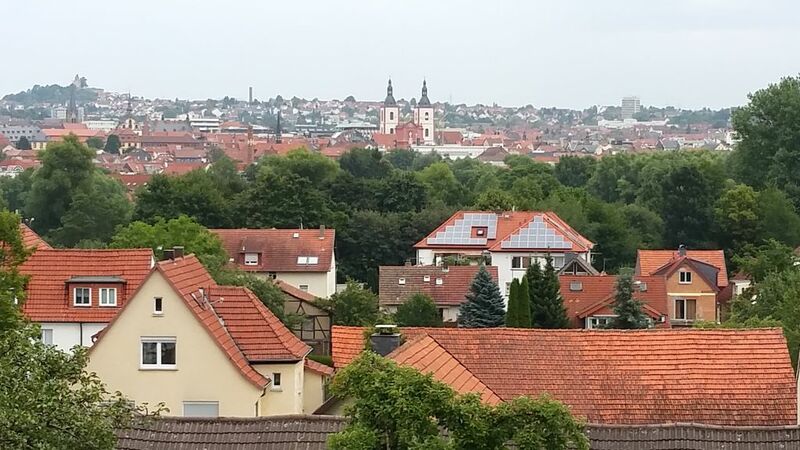 The apartment is located in the valley, so you can reach the Fulda-Auen quickly and thus also the city center. Die Wohnung eignet sich für bis zu 4 Erwachsene und ein Kleinkind.